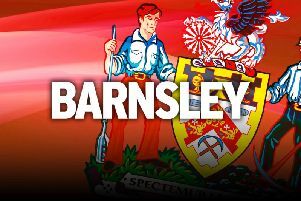 Barnsley hope defender Adam Jackson will be fit for Tuesday's Checkatrade Trophy clash with Everton Under-21s. Jackson was not involved in the match day squad for the Reds' 1-0 League One win over Southend on Saturday but boss Daniel Stendel expects him to be available for the home game against the Premier League academy side. The centre-half sustained an undisclosed injury in training on Friday and is likely to start should he recover in time. “He was injured on Friday, it was clear he could not play and he could not be on the bench (against Southend)," Stendel said. Stendel is expected to make changes for the lower-league cup competition which kicks off a run of three home games in a row. Goalkeeper Jack Walton is out, but a host of players who have not had much game time recently are set to play. The likes of Ben Williams, Jared Bird, Jacob Brown and Victor Adeboyejo could all get run-outs. One man who is not expected to feature is Kieffer Moore, whose return to the scoresheet on Saturday earned the Reds their win. It was his first goal in a month following a hamstring injury and the prolific striker feels he is getting back to his best. Stendel was also relieved to see his key man back in the goals as the German knows just how important they are to his side's chances this term. “I am happy that Kieffer Moore scored, in the last few weeks he was a little bit unlucky,” Stendel added. “It was important for us and for him, we need his goals and also in the next games, I hope he takes more confidence in the next week. The Reds won their opening game in Group F and another win will put them on the verge of qualification to the knockout stages.